Water Savings (per Shaft): 2.6 million gallons per year at 5 gpm. 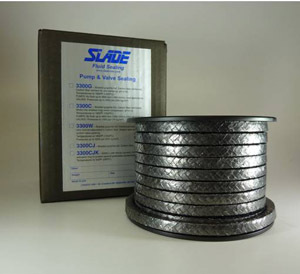 Reinforcement: Each individual strand of graphite foil is reinforced with high strength structural carbon fiber and no other reinforcements. Two independent tests (PERF standards) by Major Oil Company show emission control 3.9 and 6.4 times better than (1/5 stac) die formed rings of flexible graphite foil.